Below are five new songs and videos that we're obsessing over, and we think you'll be pretty fond of 'em, too. Press play for an insta-fun weekend! This dynamic sister duo just debuted "Warrior" from the new movie, A Wrinkle in Time (out today! ), and we are loving the video's cameos from the movie's lead, Stom Reid, and her co-star, Rowan Blanchard. 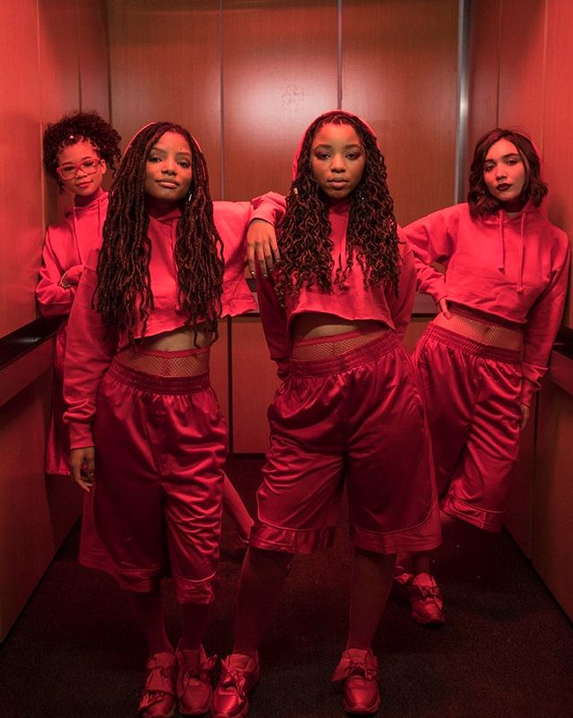 Be sure to check out Chloe x Halle's debut album, The Kids Are Alright, when it arrives March 23. Here's everyone's favorite new boyband: PrettyMuch. These five fun and *really* cute boys have taken the pop music world by storm again with "10,000 Hours" (we told you all about it when it first dropped!) and we love that they *literally* go hard in the paint in this vid. Jason Derulo collaborated with Coca-Cola to create the new anthem for the 2018 FIFA World Cup: "Colors." The song is about uniting fans and artists around the world as we all prepare to see who will win the the World Cup (which will be hosted by Russia this summer). It's the perfect song to jam to while we wait for the warm-weather vibes! This reimagining of Hayley Kiyoko's song "Curious" features a remix by Sweater Beats that's bouncy, beachy and haunting all at once. Did you know? Her long-awaited debut album, Expectations, releases March 30! And you can check out the original version of "Curious" HERE. This rising Irish artist just released this chill song—and it's giving us allllll the weekend vibes. He'll also deliver a mixtape soon produced by Mike Dean, who has worked with Kanye West, Jay Z and Travis Scott. Sounds like it's going to be amazing! What song have you been playing non-stop? Let us know in the comment section below!